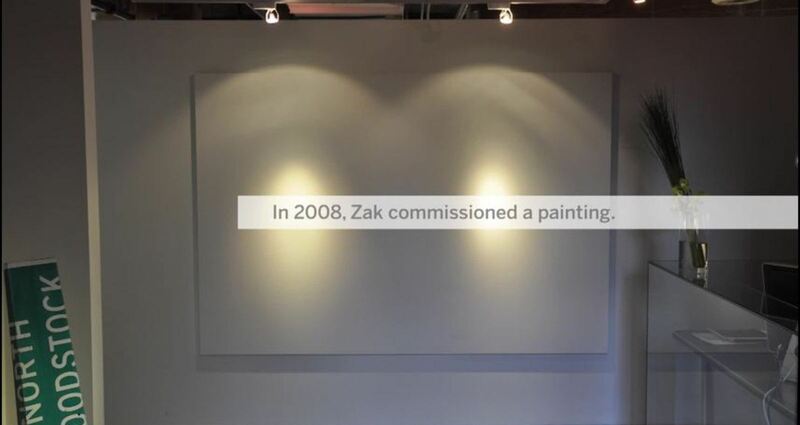 When Zulu opened its doors in 2008, a blank white canvas was displayed in the lobby. Over the past seven years Zuligans and visitors have been encouraged to unleash their inner artist and contribute to Zulu’s communal canvas. Every single stroke has been captured on a stop motion camera creating a mini-documentary that shows the development of the collective art piece. There were over a 100,000 images to sift through. From celebrities to a future prime minister to hall of fame ad legends and new clients, hundreds had contributed to the canvas. The only person who had never painted was Zak Mroueh, Zulu’s Founder and Chief Creative Officer. Method Creative: Temerlin Advertising Institute / SMU Client: Mountainsmith Backpacks Title: Bring It.